From 1 January 2018, cruise ships up to 135 metres in lenght can moor at Huizen. The well- equipped landing stage for these vells is in the Nautical Quarter of the former fishing village. 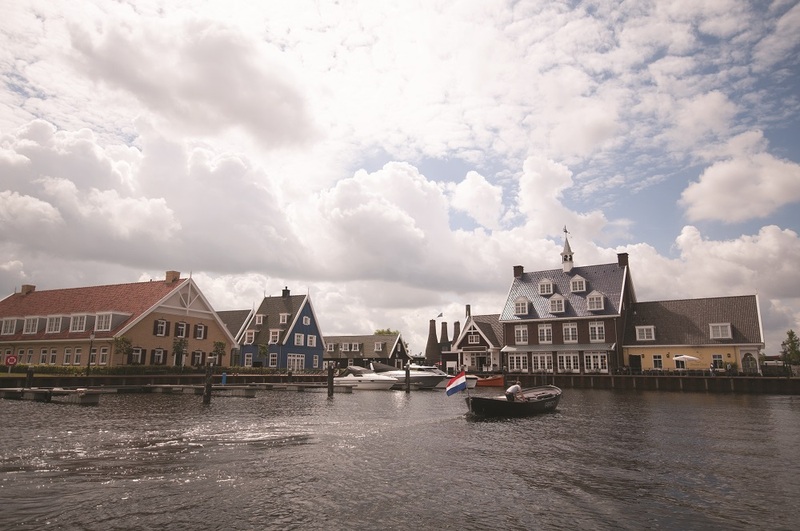 The picturesque buildings in the Nautical Quarter are built in the same style as those of the former Zuiderzee villages. The Nautical Quarter is a real tourist transfer point, where bicycles and e-bikes can be hired. At the Old Harbour you will find Kalkovens restaurant and the Botterwerf boat yard, complete with forge. There is plenty of parking for coaches and buses. A number of authentic botters are also moored there. These historical fishing boats are a reminder of the rich past of Huizen as an important fishing village on the former Zuiderzee. This harbour housed more than 280 botters in the late nineteenth century. After the construction of the Afsluitdijk, the saltwater Zuiderzee was transformed into the freshwater IJsselmeer, bringing an end to the fishing industry in Huizen. More information about the fishing history and maritime heritage of Huizen can be found at the Botterwerf and in the Huizer Museum. The botters that still exist are painstakingly maintained and can be hired complete with crew for pleasure trips. 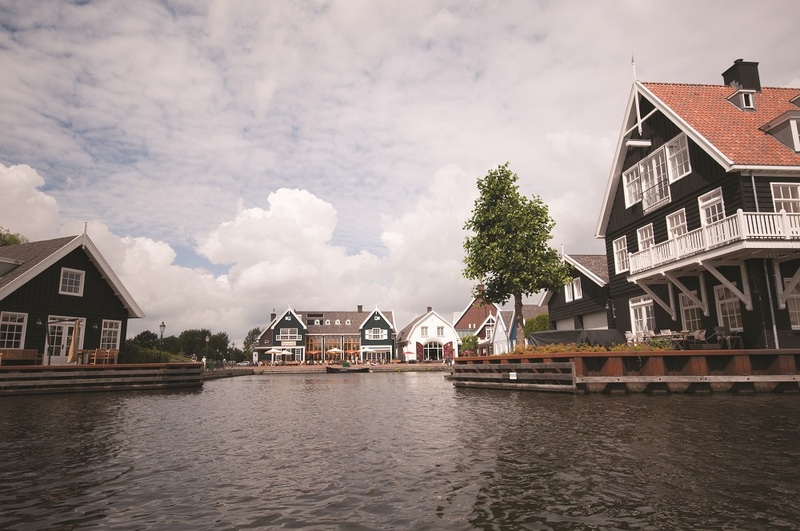 Although Huizen is known as a former fishing village, the population originally consisted of farmers who let their livestock graze on common land. Several farms dating from that time can still be found around the Dutch Protestant church, the oldest building in the old village of Huizen. The walking route Huizer Melkmeisje passes through the historical streets and past the farms that have been preserved. This walking route can be obtained from the VVV tourist information desk in the Huizer Museum, which is located in the old village. A tour guide for the walk can also be arranged.The Huizer Museum is a cultural history museum which depicts the history of Huizen and preserves and manages the historical objects. 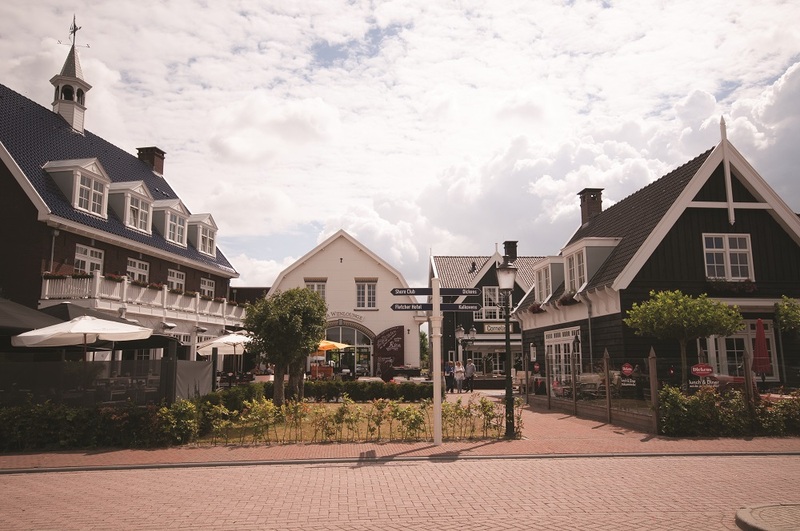 Huizen has a charming shopping centre with several pavement cafés. Huizen also has plenty to offer cyclists. Huizen Statues and Works of Art is an inspirational cycling trip that passes around thirty statues that are erected in public places. A route map can be obtained from the tourist information center at the Huizer Museum. The Erfgooiers route, the Gooilust route and the Gooische Rijkdom culinary cycle route are also very interesting. Huizen is an ideal base for various historical and tourist attractions in the area. Just steps away is the picturesque art painters village Laren cosy with the Singer Museum, restaurants and shops. Also the fortified town of Naarden is located near Huizen and away with Muiden with Amsterdam castle Muiderslot. Amsterdam is easy to reach via the A1. Almere and Utrecht are from Huizen within easy reach via the A27. All of these locations are reachable within 30 minutes by coach. • Amsterdam, Amsterdam Castle Muiderslot, Utrecht and many other appealing locations can be reached within 30 minutes. • The landing stage in the service harbour has been constructed according to the latest safety requirements and has good lighting, lifebuoys and other safety measures. • The landing stage is approximately 70 metres long and can accommodate two boats with a maximum length of 135 metres (side by side). • On the landing stage there are two powerlock electrical systems providing an onshore power supply of 2 x 400 amperes, as well as high-voltage connections for motor charters. The use of onshore power is compulsory. • Possibility to fill a water tank, with a capacity of 10m3 per hour. • If desired, services for the collection of waste, waste water, bilge water and sceptic tanks are offered by specialised and certified local businesses. • There are parking spaces for coaches very close to the landing stage. These parking facilities are intended only to allow passengers to board and alight. Long-stay parking is not permitted.